First of all, the description term “Self-Directed Simple IRA” is not intended to imply that you would choose this program because it is easier to establish and/or to administer. This is to describe another form of an employer-based IRA from which participants who qualify can invest their retirement funds on their own. This option is considered to be ideal for companies with fewer than 100 employees, including any part-timers. To get started, there are now three ways to provide the initial funds. You can use one, two, or all of these methods. The account holder may make a contribution, an employer can make a contribution, and/or the account holder is allowed to transfer funds from another Self-Directed Simple IRA (whether the other Simple IRA is Self-Directed or not). Moving forward, an employer can choose to match up to 3% of each employee’s compensation OR to contribute 2% for each employee. There is a degree of strategy with regard to an employer’s choice. Choosing the 2% for each employee, whether an employee contributes to their own account or not, enables the business ownership to determine the exact amount of the contribution based on the compensation structure. On the other hand, matching up to 3% would most likely increase the amount of the contributions, especially if most or all of the employees choose to contribute at least 3% of their compensation to their accounts. Since employer contributions to a Self-Directed Simple IRA are deductible as a business expense, an employer choosing this option would likely face a greater tax advantage by doing so. You should consult with your tax professional prior to making this decision. However, funds in the account of an employer, as well as all participating employees, offer the same tax benefits as a Traditional IRA does. A business owner (employer) gains several advantages by offering a Self-Directed Simple IRA. The start-up and ongoing administrative and managing costs are generally lower than for offering a Traditional 401K plan. In addition, the contributions can be implemented as an additional payroll deduction, which saves administration of separate checks and bookkeeping chores. At the same time, this provides an employee benefit and incentive for staying with the business, while potentially reducing business taxes. Each participating employee under this plan also gains advantages. He or she is able to choose the amount (percentage) to contribute to their plan on a regular basis. Having the employer match or contribute to their plan adds to their contribution each year and helps their funds grow for the long term. While in operation, the business owner has the ability to use its funds to invest in real estate, precious metals, notes, technology, or any other appropriate investing. Such investments can be on a short or long-term basis, or as a mixture. For example, a business owner could purchase and flip two properties each year, with the profits feeding into the Self-Directed Simple IRA each time tax-free. Or, he/she could purchase a rental property and have the monthly positive cash flow feed into the account every month for years to come. Each participating employee can also make investments in the same categories as they wish, and with the added benefit of the employer matching or contributing to their funds as scheduled. Participating employees have one other potential benefit. Upon a Self-Directed Simple IRA being in existence for two years, the account holder becomes eligible to rollover the funds into another retirement account. Suppose “Jenny” works for XYZ Corporation, which is matching 3% of her contribution, for five years. She was able to invest and increase her funds as well. She decides to leave XYZ Corporation for another position. Because she held her account for more than the required two years, she would be able to immediately transfer all of her funds from this Self-Directed Simple IRA into another Self-Directed (or Traditional) IRA of her choosing, perhaps merging it with other funds for an even larger impact. This is another way that this program fits into your long-term retirement strategy! The SIMPLE IRA is a popular retirement plan for owners of small businesses with fewer than 100 employees. It’s a common defined contribution retirement plan and it’s usually offered as a simpler, lower cost alternative to a company 401(k) plan. The two defined contribution plans have a lot in common, but the SIMPLE IRA is much easier to maintain and typically comes with lower fees and setup costs. Like the 401(k), the SIMPLE IRA allows for both employee and employer contributions. Under current law, every employee participant can contribute up to $12,500 per year. Those ages 50 and older can contribute another $3,000 per year for a maximum of $15,500 as of 2017. On the employer side, the plan sponsor must generally match the employee contribution up to a maximum of 3 percent of salary. 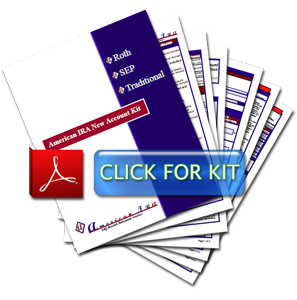 Like the other plans we support here at American IRA, LLC, the SIMPLE IRA supports self-directed investing, provided you set up the plan with a vendor like American IRA, LLC that specifically works with investors and business owners who want to explore self-directed investing. Self-directed investing refers to the increasingly popular practice of sidestepping the Wall Street brokers and insurance agents that often sell these programs to investors. Not every financial services company allows you to practice self-directed investing in their plans. Most of the large investment companies you’ve heard of don’t allow for direct investment in real estate, gold & precious metals, land, private lending, private equity and private debt placement, venture capital or other alternative asset classes. They are designed for paper investments like stocks, bonds, CDs, money markets and mutual funds. These alternative asset classes may help you achieve greater diversity or pursue greater possible returns or less overall risk than you might get with conventional asset classes alone. SIMPLE IRAs are taxed like regular IRAs. Contributions are pre-tax, while distributions are taxed as ordinary income. Distributions prior to age 59½ are subject to a 10 percent penalty. But this is important: The penalty for withdrawal within the first two years is 25 percent. This is much higher than the usual early withdrawal penalty for other types of retirement accounts. Those with SIMPLE IRA balances must begin making required minimum distributions by April 1st of the year following the year in which they turn age 70½. Small businesses may be eligible for a tax break worth up to $1,500 to offset any setup or administrative costs over the first three years. Any small business can create a SIMPLE IRA for its own employees provided they have a maximum of 100 employees, and provided they have no other retirement plan already in place, with the exception of plans offered under collective bargaining agreements to union members. The SIMPLE IRA may be a compelling alternative to the Solo 401(k) if you expect to hire any employees or you already have employees other than yourself and a spouse. It’s also a potentially good match for any qualifying small business whose employees want or need a retirement plan with a company match. It’s not a good fit if you plan to have more than 100 employees in the near future, or if you want a plan with a Roth option. There are other possible plans that may be a better match for you, depending on your circumstances. Other possibilities include a solo 401(k), a conventional 401(k), a Roth 401(k), a SEP (simplified employee pension), or an IRA or Roth IRA. 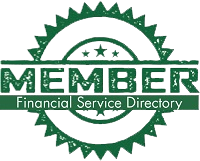 Each of these accounts support self-directed retirement investing, provided you set your account up with a vendor that also supports self-directed investing, such as American IRA, LLC. The SIMPLE IRA is a type of defined contribution pension plan designed for smaller employers – and it lends itself quite well to self-direction and investment in real estate, provided you know the rules. 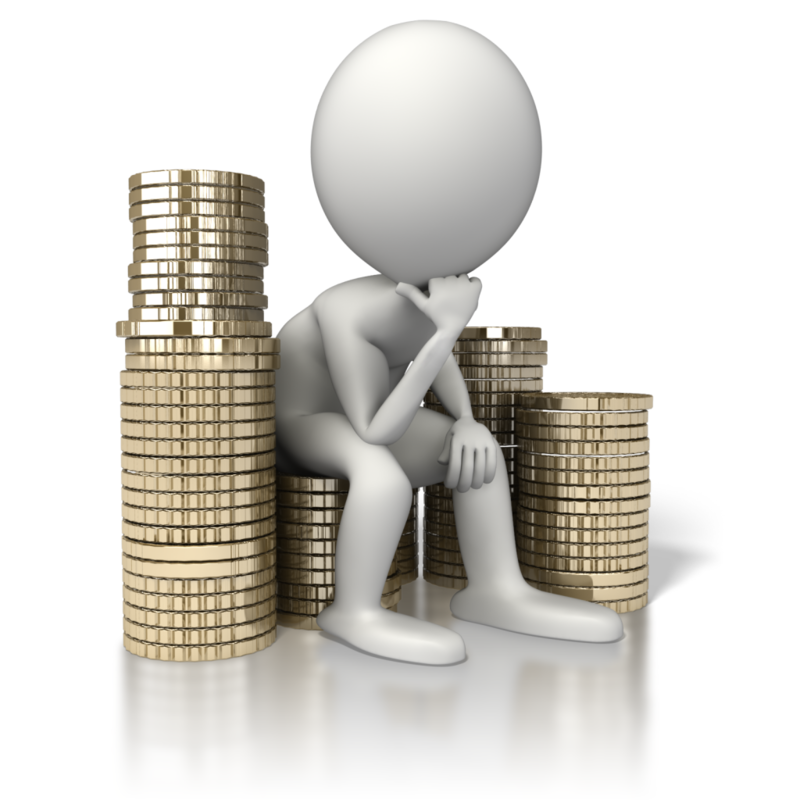 Who Benefits from Self-Directed SIMPLE IRA? Any small business with 100 employees or fewer can set up a SIMPLE IRA. They are less expensive to set up than a full-fledged 401(k) and have fewer ongoing reporting and actuarial requirements. Employees get the opportunity to contribute pre-tax dollars to a retirement plan, just as they might with a 401(k). The employer just deducts the contribution from their paychecks and forwards them to the SIMPLE IRA administrator – along with employer matching contributions, if any. The employer gets to offer a more competitive overall compensation package, which may help you compete more effectively for the best talent – especially if you offer an employer match. 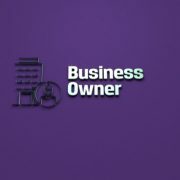 As the business owner, you can set up the option to self-direct your own SIMPLE IRA investments by contacting American IRA, LLC and setting up an account. For 2015, the allowable contribution to a SIMPLE IRA is $12,500. If you are over the age of 50, you may contribute an additional $3,000 in ‘catch-up’ contributions for a total of $15,500. Certain kinds of precious metals (coins and bullion) of uncertain or insufficient purity or consistency of manufacture or minting. That is pretty much it. Which, of course, liberates you as the owner of those assets to invest them into just about anything else you like, including rental property, a house-flipping business, commercial real estate, mortgage or hard money lending, tax liens and certificates, and much more. Naturally, most investment companies don’t offer these options in their off-the-shelf retirement plans offered to small business owners. They get revenue when you or your employees invest in mutual funds. Not so much when you invest in something not in their inventory. For this reason, most investment companies that handle SIMPLE IRA investments won’t tell you about self-directed SIMPLE IRA plans at all – much less help you set one up. But it is quite legal and quite easy to do so. If you currently sponsor a SIMPLE IRA plan for your company and you are interested in using your plan balance to invest in real estate, while allowing your employees to continue contributing to the plan as they have in the past, this is a relatively simple procedure. Just call American IRA LLC at 866-7500-472(IRA) and we will walk you through the process. Who Is a Self-Directed SIMPLE IRA Best Suited For? You own a business with 100 employees or fewer. You want to be able to control how much you contribute in matching contributions each year. You want to have some of your retirement portfolio invested in real estate. You don’t plan on wanting to borrow from the plan. (If you want a plan you can borrow from, you may want to set up a 401(k) instead. 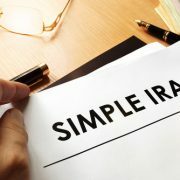 For more information on self-directed SIMPLE IRAs and real estate SIMPLE IRAs, give us a call at the number listed above, or visit us online at www.americanira.com. We have an extensive library of informational articles and blog posts, as well as several exclusive guides to self-directed retirement investing and an e-book – all available free of charge, with no obligation. Whichever route you choose, we can work with you no matter where you are in the U.S.A. We look forward to serving you.